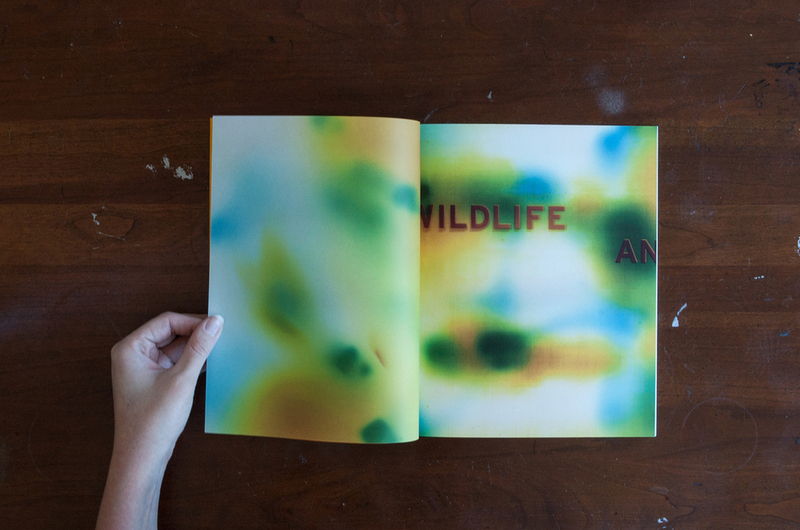 Bryan Graf's Wildlife Analysis, published by Conveyor Arts, was printed on an Indigo press using variable algorithms. The result is that each book contains the same content, printed in a unique sequence. The pages were originally created by Graf in a color darkroom using individual 8×10 sheets of photographic paper. PATH worked with Graf to design the cover and to set type throughout the book, which was also manipulated in the darkroom. Wildlife Analysis was nominated by Ken Schles as the best photobook of 2013 for the 6th International FotoBookFestival. 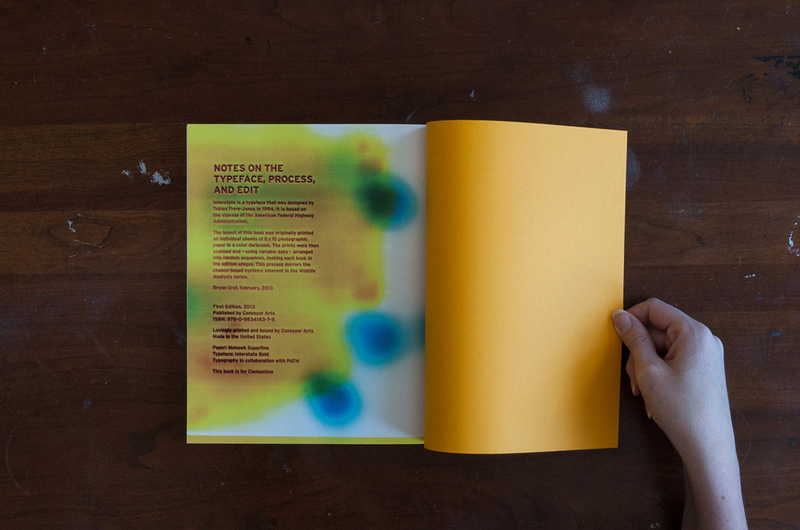 The book is available in a trade edition and a hard bound collectors edition through Conveyor Editions. Format: 8 x 10 in., 144 p.